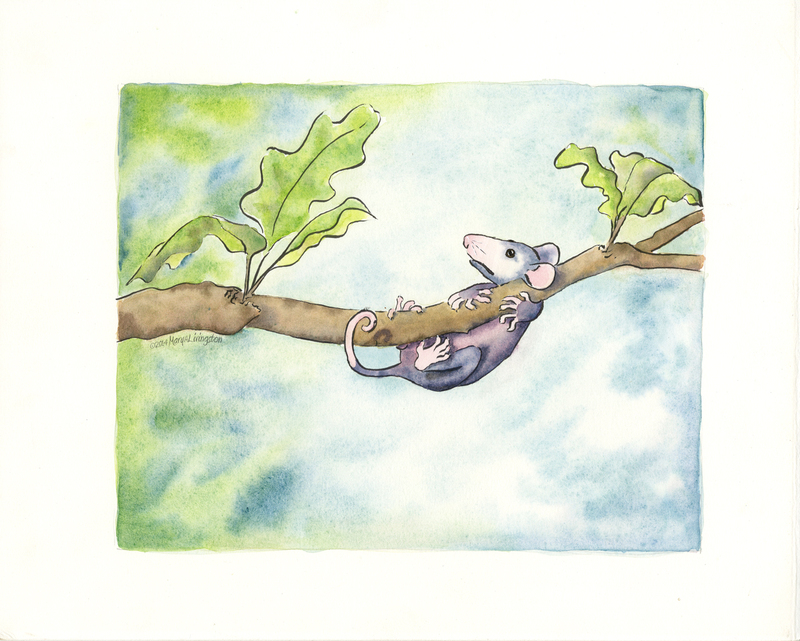 This entry was posted in Illustrations, Ink and Watercolor, Watercolor, Wildlife and tagged Mary A Livingston, opossum, possum by MaryALivingston. Bookmark the permalink. I have a friend in wildlife rescue who raises them to release back into the wild. I think their little fingers are so fascinating. Me, too…it’s so high up!